Combine all the ingredients in a large bowl and mix well with your hands. Put this mixture on a foil lined baking tray and spread out evenly. 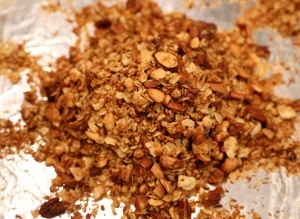 Preheat the oven to 350 degrees and toast granola for about 20 minutes or until it changes to light brown color. Stir granola a few times while baking. 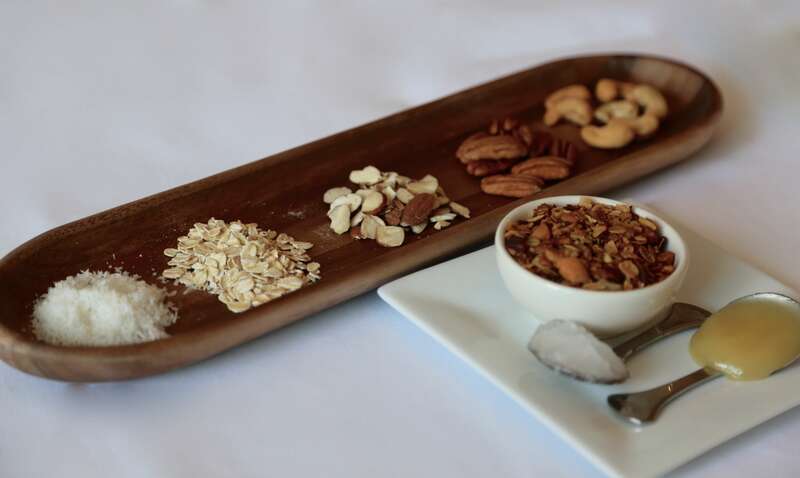 Once you took granola out of the oven, let it cool down on a tray and then put it in a jar or zip-lock bag. Patty is a healthy food enthusiast and a volunteer with a nonprofit organization teaching kids how to cook simple healthy meals from around the world. Get Our Newest Articles in Your Inbox!